Skala is the result of the study about people, of the health at work and the application of the ergonomic guidelines to the office desks. 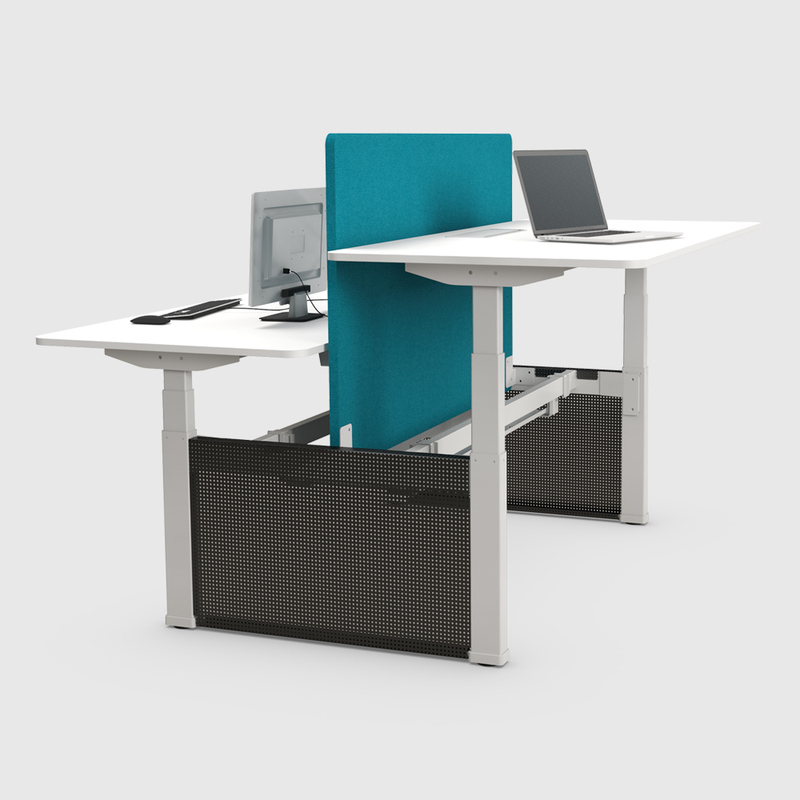 The height adjustment of the Skala program, extend the natural use of the office desk and it allows a better accommodation to the user’s physiology and anatomy in every moment. The Skala desk could be used and be regulated by a multiple user and, on the other hand, they can become into a spontaneous meeting place and sharing ideas. • It allows to establish a few aims depending on the user’s height and weight. • It allows to see the daily advance to get to the goal. • Depending on this aim, the software informs the user about when it is advisable to work of foot. • It shows the burned calories and the usage history of the desk. • It shows the real height of the desk. • It incorporates a memory of three positions that the user chooses. The combination to work from a sitting or standing position allows to reduce the sedentary lifestyle in the office what reverberates in a direct way in the user’s health. In addition, the incorporation of the dynamism in the daily day increases the motivation and, thus, the efficiency of the users.